Stat of the day: 4/6. 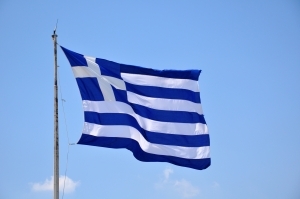 Ladbrokes has slashed its odds on Greece leaving the euro by the end of 2012 to just 4/6. Fancy a flutter on the eurozone? Well, after Greece's new Coalition government revealed plans to reject EU austerity measures this weekend, you're unlikely to make a mint on Greece leaving the euro. Ladbrokes reckons its a near dead cert, with odds of just 4/6. For a slightly better return, however, you can take a punt on Greece losing more than 25% of its value in a single day's trading by the end of 2012 (presumably they mean stock market value). The odds stand at 4/7. Hardly reassuring for the Greek populace. But, for the ultimate euro-pessimist, there is another 'Euro Special' on offer. You can bet on the currency itself ceasing to exist by the end of 2012, and make 33 times your original stake.